Anna-Maria L. Crum is a freelance illustrator, writer, and designer. Born in Pasadena, California, and raised in Cleveland, Ohio, she worked as a landman in the oil industry for eight years before pursuing her passion, childrenâ€™s literature. Crum received a BA in English from Ohio State University and an AAS in commercial art from Arapahoe Community College. Experienced in designing books and marketing materials, Crum taught illustration, graphic design, typography, and childrenâ€™s writing at Arapahoe Community College and childrenâ€™s book design and illustration courses at the Art Institute of Colorado. She also served as a freelance art director for Pacific Learning for six years. Crum has been writing, designing, and illustrating childrenâ€™s books since 1988 and has written eighteen books, illustrated thirty-five, and designed more than one hundred. Crum is a member of the Society of Childrenâ€™s Book Writers and Illustrators and serves on the board for the Picture Book Artists Association. 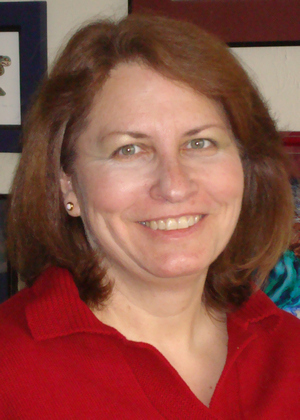 She serves as a judge for the Paul Gillette Awards sponsored by the Pikes Peak Writers organization. Crum has twice been named a finalist for the Colorado Book Awards. She resides in Denver, Colorado. A holiday whodunit for kids, this story solves the mystery of who stole Tallie’s sparkly, twinkling, candy cane Christmas lights. Tallie first suspects the thief is the mailman, and then infers it could be her slobbery pup, Fuego. She soon learns, however, that neither is the culprit! To find out who swiped her lights, Tallie dons her spy gear—her ski hat, pink sunglasses, magnifying glass, and spy blanket—and sets off to solve the mystery.